Health systems governance reforms often start with managing change within ministries of health. 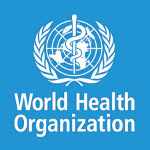 Through their exclusive health mandate, ministries of health remain of central importance in the governance of health systems, but their roles increasingly shift from direct funders and providers of public health services to stewards of the entire health system, including both state and non-state actors. They must be able to maintain a balance between formulation of a strategic vision for health, centralized and decentralized authority for decision-making, management and implementation capacity, performance, regulation, monitoring and accountability. Furthermore, while sensitive to local realities, they must be connected to global health issues. The drivers of this changing mandate are multiple. Broader political, administrative or fiscal reforms (including but not limited to decentralization) create new management and organizational structures in ministries, sometimes without proper preparation and capacity building. These reforms often entail new accountability mechanisms requiring separation of powers – with the common example of separation of purchaser and provider functions. Globalization and international development require that ministries of health engage with many external parties, not limited to international donor organizations. Engage a discussion with and among faith-inspired communities and faith-based organizations on the governance capacities and the changing roles of ministries of health in the 21st Century. How do faith-based organizations see the role of the ministry of health in the country: what do they expect from the ministry of health and are these expectations fulfilled? Why? How do faith-based organizations position themselves with regard the ministry of health in the country? What are the opportunities for collaboration and dialogue and what are the challenges? How can faith-based organizations best play their role in health systems governance? Should they use their position to voice specific concerns? What obstacles do they face in this action? Private sector engagement in the Sustainable Development Goals (SDGs): understanding the incentives, the opportunities and the challenges of emerging new partnerships. 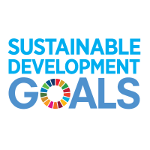 When the 17 Sustainable Development Goals (SDGs) were adopted at the end of 2015, the global community engaged in a historical shared vision and committed to a set of common and ambitious objectives to drive societal, economic and environmental change. It also marked a distinct change in paradigm, by focussing on the universal nature of the Agenda, the indivisibility of its goals and targets and the strong emphasis on the importance of developing new multi-stakeholder partnerships, within and across sectors. The need for new coalitions to emerge between countries, civil society, business, academia, parliaments and Unites Nations’ organizations was made explicit, and partners across the globe are now venturing into turning this vision into practice. As shared as this vision may be, there are challenges to developing new partnerships, not least because of the different ways these stakeholders think, operate and understand their respective contributions to this common Agenda. Solid, relevant and long-standing partnerships will only emerge if those different perspectives on a yet shared vision are bridged via a collaborative network enabling dialogue, mutual understanding of the various and unique incentives, the new models, the new technologies and the new funding mechanism to successfully reach the SDGs. Through the inputs of different partners from the private sector, this session will attempt (1) to bring to the forefront a few examples that illustrate the diversity of incentives that drive private companies and entities to engage in the SDGs and (2) offer an opportunity for informal dialogue with other stakeholders and potential avenues for incubating new partnerships. Engage an informal discussion with private sector partners and other stakeholders (UN organisations, representatives of countries, civil society organisations, business etc.) to better understand their different and shared incentives to engage in reaching the SDGs. What are the incentives of the private sector (for profit and non-for profit) to engage in reaching the SDGs? What is driving their commitment? What are the expectations of the private sector? What are some of the challenges and opportunities to creating multi-stakeholder partnerships in this current global context? What will the new generation of Public-Private Partnerships (PPPs) look like?